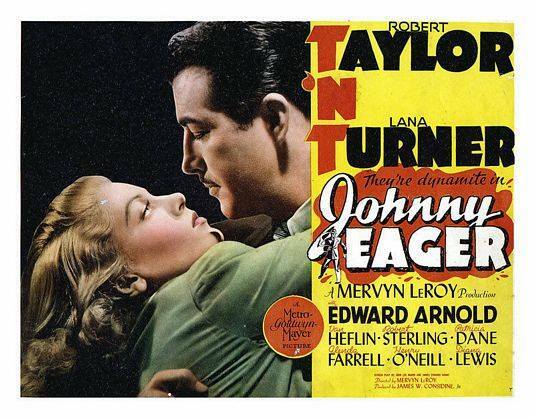 Johnny Eager (1941) is playing on Turner Classic Movies on Sunday, February 15, 2015 07:00 AM est. Closed captioned. 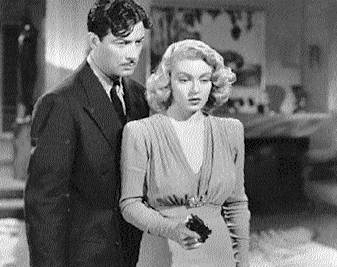 Having only been familiar with Robert Taylor’s body of forgettable (humpf) work from the thirties (The Broadway Melodies, Camille, etc), seeing him in the title role of Johnny Eager was stunning. Tom Hanks’s 180 degree turn from silly comedies to Philadelphia might be a modern day equivalent. Taylor steps into a role that would seem tailor made for Bogart, Cagney or Robinson, and does an arguably better job than any of them could have. Yes, Lana Turner is present, and yes, Van Heflin won a supporting Oscar, but Taylor owns this film. Johnny Eager is one of the best films of the 40s, as well as one of the all time greats. (Taken from a review by Justin Behnke on the IMDB). This entry was posted in Films and tagged acting, actor, adventure, Barry Nelson, celebrities, dog racing, drama, Edward Arnold, entertainment, gambling, gangsters, glamor, glenda farrell, Golden Era, handsome, hollywood, Johnny Eager, Lana Turner, matinee idol, Mervyn LeRoy, MGM, movie stars, parolee, Patricia Dane, robert sterling, Robert Taylor, romance, supporting Oscar, TCM, TNT, Turner Classic Movies, van heflin, violence. Bookmark the permalink. Mine, too, Brittaney. Mr. Taylor proved that he could be a tough guy. Thanks for writing. Good review except for the disparaging remarks about the ’30s films, most of which were very good. This movie is an example of Mr. Taylor’s amazing versatility & his continuing growth as an actor, an opportunity afforded by the MGM “repertory company”. And even as a freelancer in his later years, I think he could have become a fine character actor (perhaps even a character lead) if he had lived long enough & been able to choose his roles as well as MGM chose them for him. I agree that Mr. Taylor could have become a fine character lead like Liam Neeson or Harrison Ford. His proven record of versatility and his mature good looks would have allowed him to do so much, if only– Those rotten cigarettes. If only he had been able to stop. Thanks for writing again.